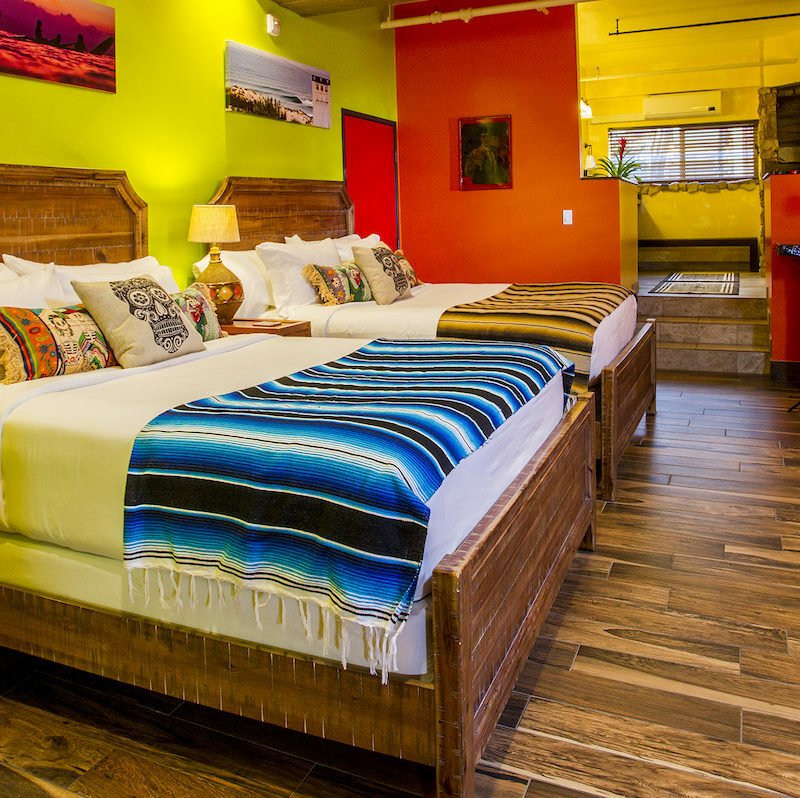 Nomads Hotel is creatively designed to make you feel relaxed, and right at home. 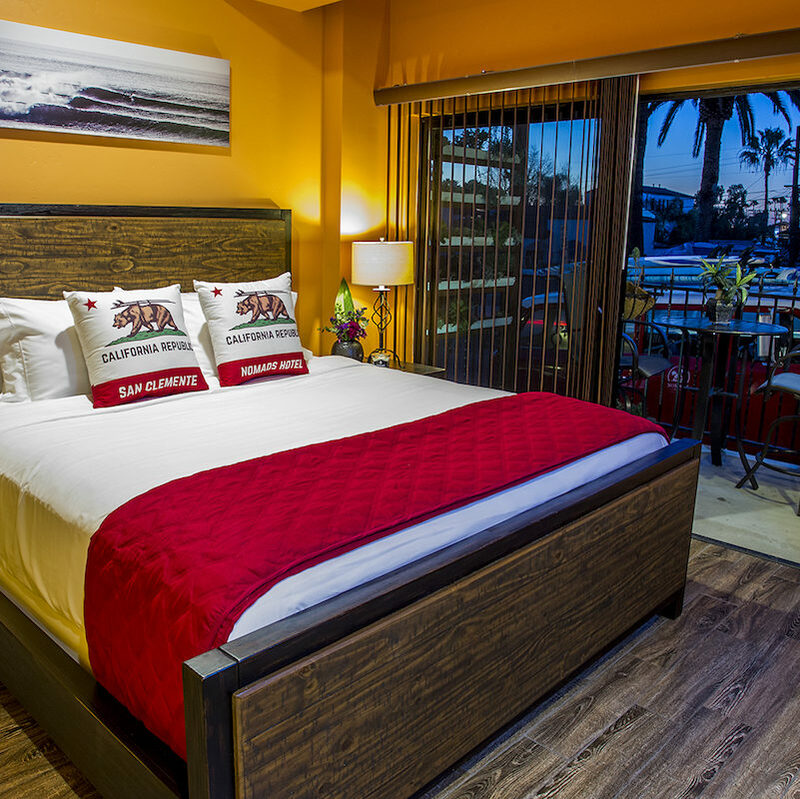 Warm colors, artistic décor and luxurious amenities will give you the feeling of a tropical resort right here in Southern California. 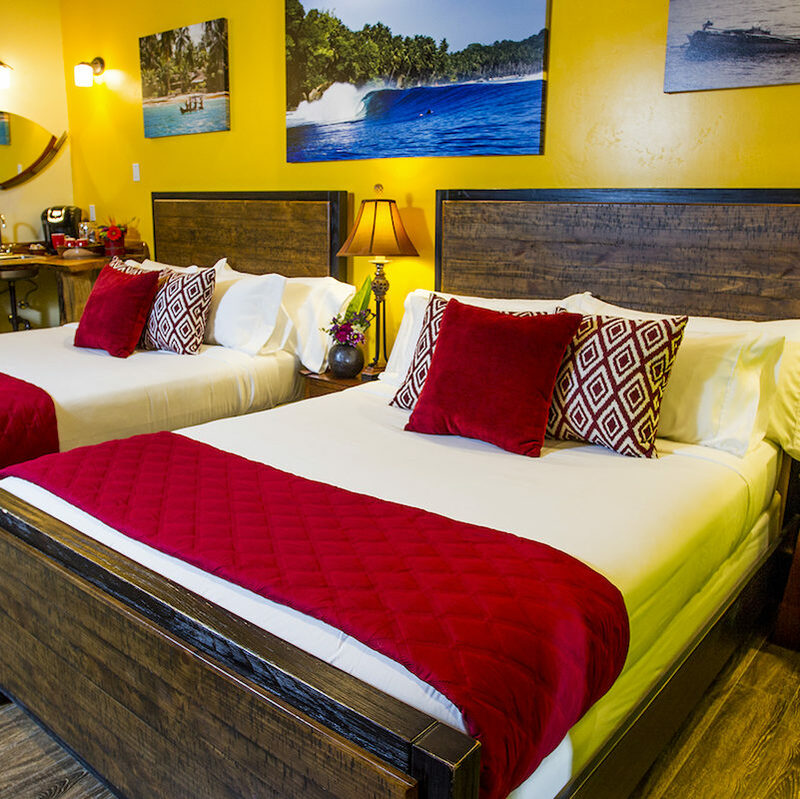 We will provide you with everything you need to either launch your day of surf and adventure or chill and relax after a long day of fun in the sun. 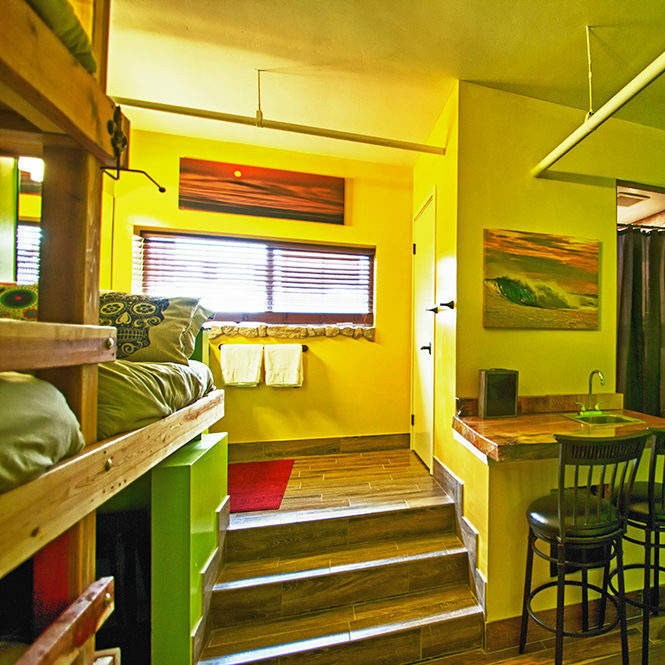 Nomads Hotel Guests are always invited to enjoy Nomads Canteen located upstairs from the hotel. 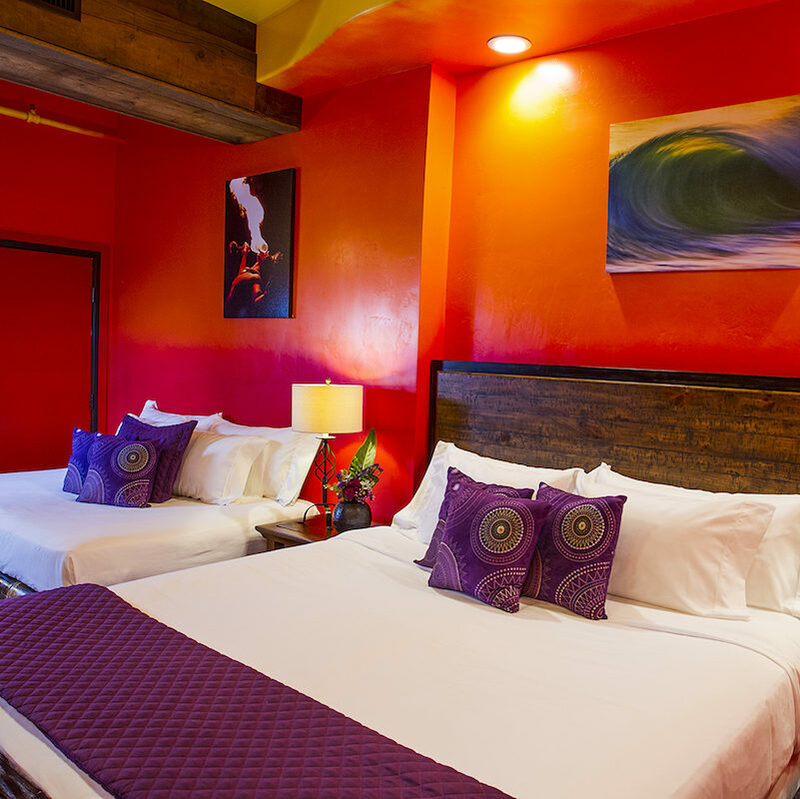 Enjoy an ICE COLD BEER or a GLASS OF WINE on our ocean view deck, or kick back at the bar with some SURFER SOUL FOOD and watch the latest surf videos on our big screen TV’s. 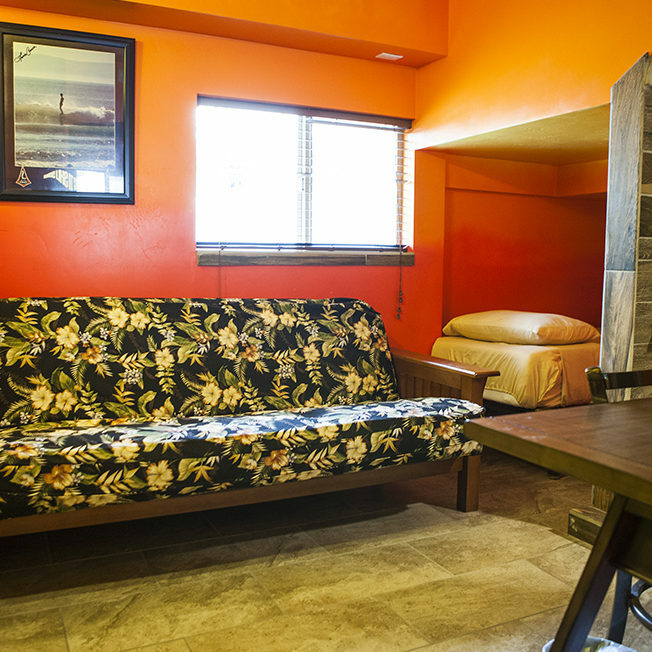 Inter-connecting rooms also available upon request. 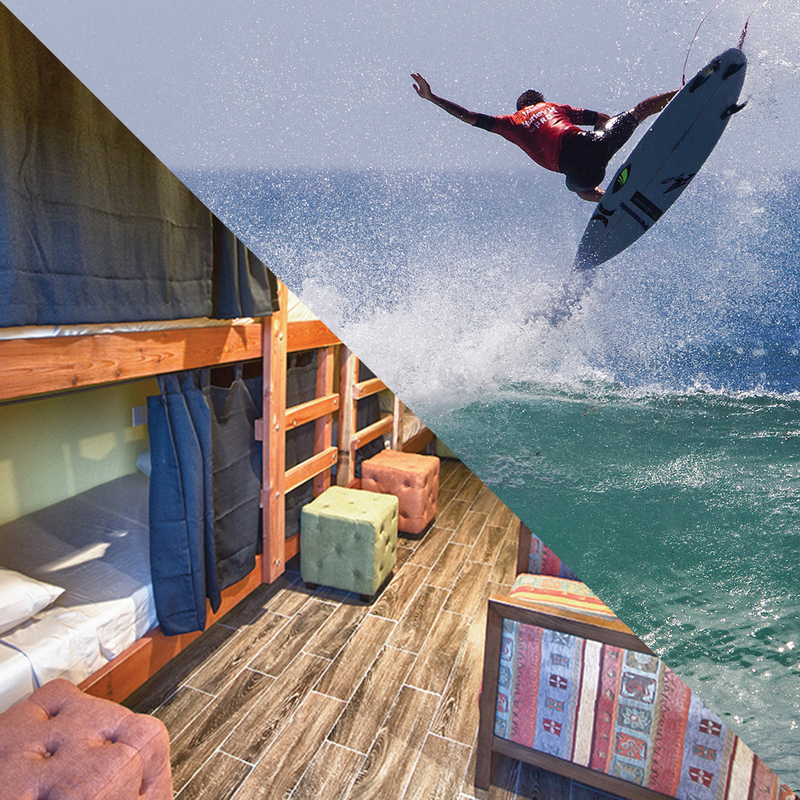 NOTE: ALL ROOMS MUST BE BOOKED FOR A MINIMUM OF 4 OR 7 DAYS TO BE ELIGIBLE FOR A SURF PACKAGE ADDITION.